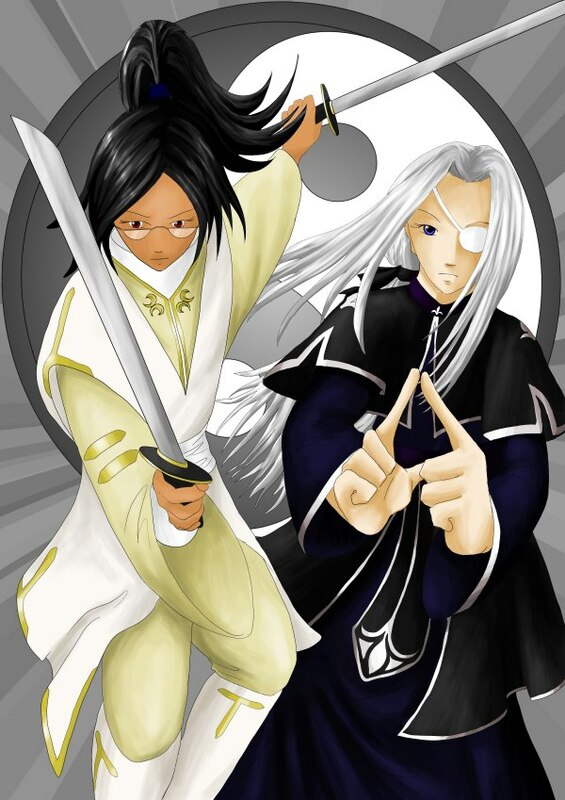 Drawn in November 2006 and coloured in April 2007; Rua and Saryth. The idea came from a picture of the two Chiis from Chobits, one dressed in black and the other in white. Saryth and Rua have such opposing colouring that I thought they would work reasonably well in a yin-yang sort of style, with Rua dressed in white and Saryth in black.